Whether you are a parent looking to engage your kid/s in the holidays (while making them wiser in money matters) or a teenager looking to earn your way to a new toy or gadget; these easy ways for kids to make money will certainly help you. Before you set out with a task that will help you earn, make sure you talk to your parents about it. Do get local permits and licenses where necessary and do things within legal limits. 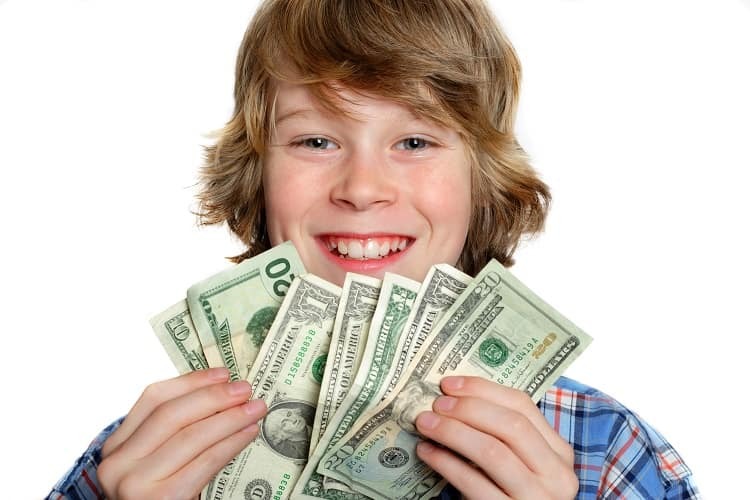 Here are some of the safest easy ways for kids to make money. Recycling cans in your neighborhood is one of the easiest ways in which a kid can make money. You can talk to your neighbors about it and ask them to save bottles and cans for you. Once a week, you can set out with a small wagon and collect the cans. Take them to your local recycling centre to receive money in return for each bottle/can collected. Not only is this one of the best ways to make money for kids; it will also save Mother Earth from over-clogged landfills. This easy way for a kid to make money is suitable for slightly older children. You can wax, detail and polish cars. Naturally, you would need to know techniques of washing cars. The key is to quickly rinse the car and dry it fast so that it remains streak-free. You can also use small brushes to remove dirt from the tires and for other detailing purpose. You can set up a stall with entertaining games and activities to make a quick buck at the local carnival or fair. You can sell tickets for the stall and advertise it to create a buzz about your product/service offerings. You can be as creative as possible in this aspect. You might want to give away small prizes as well. If you get some time in the break during school, you can teach other students or even help them with their homework for monetary returns. You can also help other students with projects. This is one of the easy ways for kids to make money for those living in an apartment complex. You can run door to door with a small wagon and pile trash bags in it. You can charge per bag you carry to the dumpster. Many busy parents need older, reliable kids to either watch their children or even walk them to-from the bus stop before/after school. This is an easy way for older kids to make money easily. Teenagers can help mow lawns, rake leaves, weed the garden, plant trees and even shovel snow etc. These landscaping jobs can easily help you earn good amounts of pocket money. This is a fun way to earn money if you love pets. You can offer to walk dogs in the morning and evening or even become a pet sitter if the owners have to leave town for a few days. Be careful when you do this job, because some dogs can get wild especially around other dogs. You might also need to pick up and discard dog poop! This is a fantastic way to earn money if you own a bike. You can choose the afternoon or the morning route and deliver newspapers or distribute flyers around the neighborhood. Be safe when you do this job and select routes you are familiar with. You might also need some adult support if the weather is bad. Become the friendly neighborhood helper by helping mommies and daddies with their kids, with general or seasonal chores around the house or with shopping errands. Talk to your parents if they agree with this first. You can even make flyers and business cards to advertise your services. Selling stuff is one of the easiest ways to make lots of money for kids. Decide first what you will sell: is it something that you have used but no longer need? Perhaps you can grow or make things to sell. You might also need to do some market research to find out where your customers are. You can give away some stuff for free in the beginning to get people interested in your products. Be smart and safe and, if needed, discuss a selling plan with an adult. This is a great way to make money for kids, if you are into sports. Assist the coach with odd jobs, collecting and organizing sport equipment, planning and scheduling etc. Apart from selling and working hard, a smart way to make money for kids is to make wise investments. Talk to your parent or even someone at the bank who can advise you about wise investments. Note that when you invest the money, there is a lock-in period for which you cannot use the money. However, the returns will be terrific. Use these easy ways for kids to make money and see your savings grow!